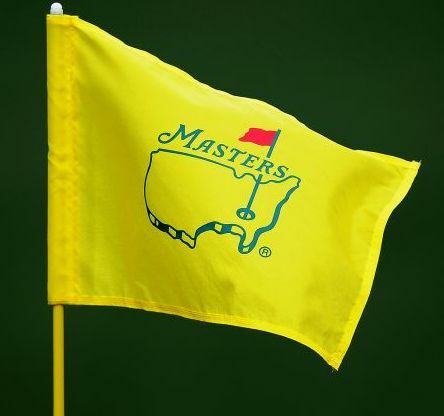 Winning the Masters cements your place in golf history. If you win this tournament, you get to be part of a very exclusive fraternity that gives you a lifetime of benefits that other major championships do not offer. Each year you are welcomed back as royalty during the Masters. You are giving a lifetime membership to one of the most exclusive clubs in the world with the connections and contacts to some of the most influential people in the world. It is little wonder that this championship produces so many dramatic and gut-wrenching finishes. My favorite this year is Jason Day. I had given up on him earlier this year as a serious long-term superstar player. However his performance at the World Match-Play championship two weeks ago told me a lot about his determination and dedication to his profession. His win the previous week at the Arnold Palmer Invitational was unimpressive based on his finish and his competition. In the Match-Play championship, he played well each day and kept the pressure on his opponent at all times. His semi-final match with Rory McIlroy was a classic. With his length and short-game prowess, he is peaking at the right time and on a golf course that fits his golf game. Jordan Spieth – not hitting on all cylinders, but guts might carry him through. Jordan will be the person that I will be the most interested in watching this week. Bubba Watson – ideal golf course for his golf game. Has to make his short putts to win. Dustin Johnson – have him as my fourth pick, but I have a good feeling that this might be the time. Phil Mickelson – has set his sights on this one. If he can eliminate a blowup hole, he will be right there. Adam Scott – putting will be key. Confidence is high, so he should be in contention all the way. Louie Oosthuizen – so good and has been close at Augusta before. Maybe this time is the time! Rory McIlroy – can’t ever rule him out, but concentration and putting this year has been inconsistent. Henrik Stenson – has all the game to succeed on this golf course, except the putter. Ricky Fowler – good enough, but will find a way to come up a little short. Course not a match for his talents. Matt Kuchar – contends and is close for a while, but when he needs to push to the front, he falls back. Sergio Garcia – perpetual heartbreak player. Will make a splash and then disappear. Too many collapse’s in his memory bank. Brandt Snedeker – loves the course and the tournament. Has had the lead in the past, but wants this title too much to succeed. Jimmy Walker – has enough game, but not a major champion mental makeup. Justin Thomas – another Spieth in the making. My pick for a major within the next two years. Brooks Koepka – length is vital and he could overpower this course. Hideki Matsuyama – brilliant player, but probably too much pressure for a Japanese player to win at Augusta. Patrick Reed – probably not a longshot, but it’s time for him to back up his boosting. Bryson DeChambeau – the US Amateur champ with unconventional clubs and style, but he will be a factor in major competition in years to come. Tiger Woods – isn’t playing, but it’s Tiger, so he still has a chance! It is true that you cannot win a tournament on the first day, but you certainly can lose it on the first day. Because this tournament has been targeted by so many players on their calendars for so long, there is added pressure to get off to a good start. Note the scores of 74 to 78 the first day by some very good players. The reality is that they have shot themselves out of winning the tournament. A harsh term is that they choked, but that’s what happened. The Masters is a test of nerves and the desire to succeed that is so great that wanting it too much will cause the best to show cracks in their mental armor.